I must admit I can be a little 'safe' when it comes to skincare, and I didn't know a lot about Soap & Glory's facial skincare range (other than that my mum loves the Micellar Water), so I was intrigued when I had the opportunity to try the Peaches and Clean Deep Cleansing Milk* (£8) and Face Soap & Clarity Vitamin C Facial Wash* (£8). In these two products you pretty much have your morning and your evening cleanse. The Face Soap is a gel formula, so it's something I find refreshing to use in the morning. 'Soap' may be a little misleading as I don't find it harsh or drying at all, perhaps because of the dose of Vitamin C you get with this. However I would probably still say it's more something I'd recommend for combination or oily skin types. This does a really good job of cleaning any dirt, sweat (or even residual makeup from the day before!) and refreshing your skin for the day ahead. It also lathers really nicely, which I wasn't expecting as so often gel facial skincare doesn't really foam. You don't need to use loads and loads of this, just a pea sized amount, or it may dry your skin out a little. I'm pretty much obsessed with cleansing oils, butters and gels that 'melt' your makeup away so I was really excited about the Cleansing Milk as it's not a formula I've tried before. This definitely didn't disappoint and could well be a favourite out of all the ones I've tried! As much as I love the other kinds of cleanser, I do realise that the slipperiness of an oil-based formula isn't for everyone. If you're not too keen on that then this is the perfect solution as this stays as a lotion/milk and somehow melts your makeup without emulsifying. It's also probably the most gentle and comfortable cleanser of this type I've tried on my eyes. It really does remove everything and leaves my skin feeling soft and plump afterwards. 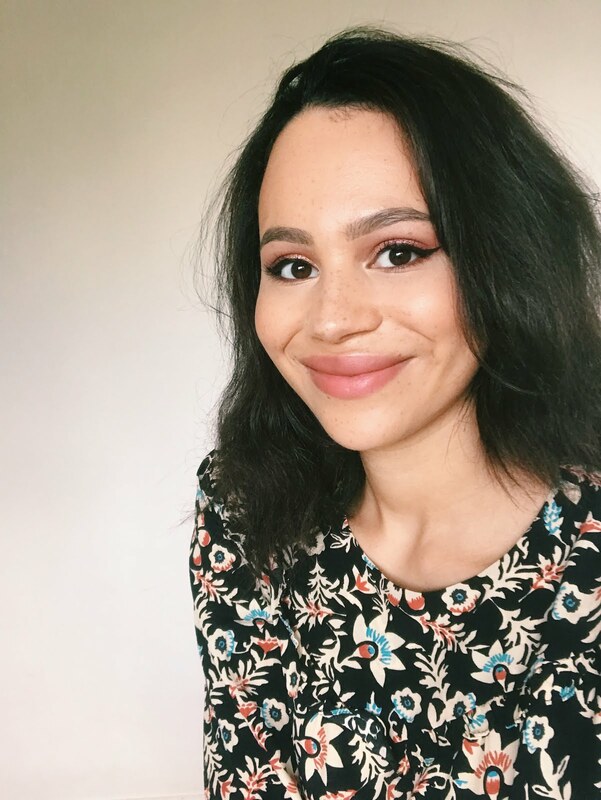 I really wasn't sure what to expect from Soap & Glory's skincare. I have to confess that the reason I didn't try it sooner was because I thought it might be too fragranced and irritate my skin but it didn't at all. I've been very pleasantly surprised at how much I've enjoyed using these products this past fortnight and I look forward to trying some more bits from their range. The price really is amazing for the huge bottles you get and these have to be two of my favourite budget skincare products right now. 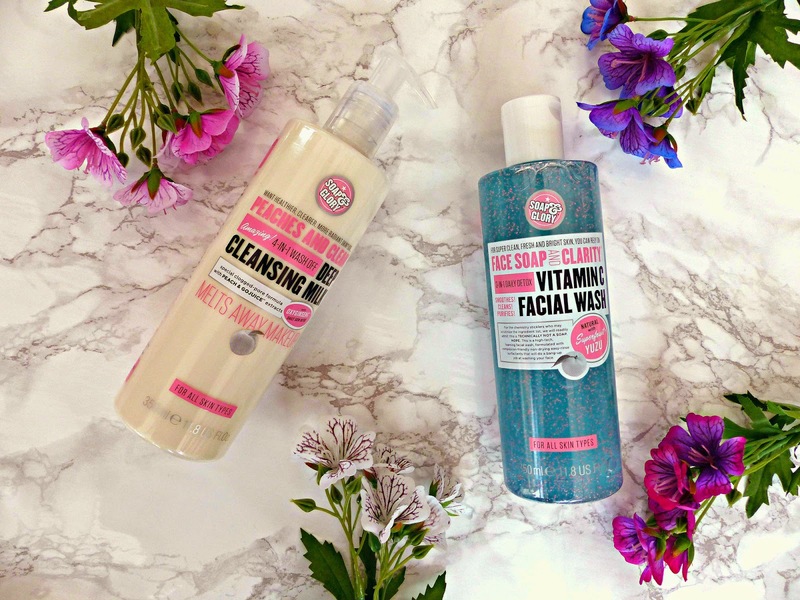 Have you tried Soap & Glory Skincare? I saw them a few weeks back in Boots, being advertised as having bigger bottles than usual but I didn't buy them as I hadn't read any reviews so thank you for this Jasmine! I've seen the Peaches & Clean Cleansing Milk before, a long while before I was realy into these kinds of cleanser myself. I'm actually coming to the end of my current cream cleanser so I'll have a good study of these in Boots next time I nip in. I must agree that I'm always a little cautious of scented products although my own skin rarely reacts to fragrance, but as you've given them the thumbs up I'll have likely have a go with them anyway! Great post definitely giving the cleansing milk a try. I've never tried anything from the S&G skincare, although these two products sound amazing! Anything that won't irritate my skin is always a must buy! I already love the Soap &Glory micellar and have been using it religiously since its release; I'm actually having trouble getting hold of a new bottle currently though. I love the sound of these two, do you know if they've changed the formula alongside the packing? The gel cleaner was one I used to use a few years back and always enjoyed. I'm using cleansing milk too to cleanse my base makeup! I agree with you, I like using that kind of formula rather than the oil type. I love Soap & Glory, haven't tried their skin care though. 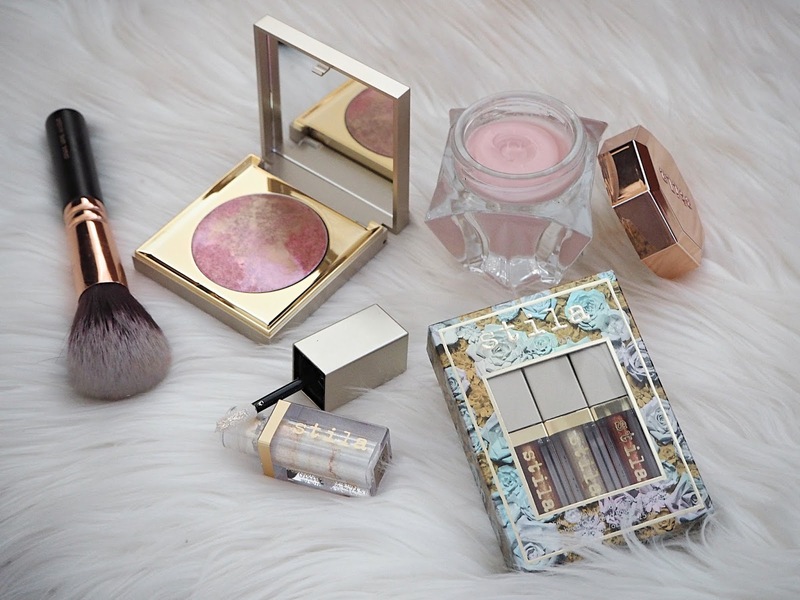 Mainly body stuff and some makeup. Wanted to try the facial wash, but I have normal to dry skin so might not be for me. Lovely post! I also thought that those S&G products would irritate my skin, but the products sound so lovely. I will definitely have a look at their skincare range next time I'm in Boots! I really want to try more Soap & Glory skincare as I love their body stuff :) that Peaches & Clean cleanser sounds right up my street, and love that the bottle is so huge as I'm always running out of my Liz Earle Cleanse & Polish in the 100ml tube!! I actually love Soap & Glory's skin care range! Their products are non-drying and even add extra moisture, their cleansing lotion is fab! Removes all excess makeup and leaves my face feeling cleaner and softer! I love that unlike most companies, they've actually made their products bigger for the previous price/slightly more! LOVE peaches and clean! I use it everyday! Love these bottles too, so cute! I'm yet to try any skincare or bodycare from soap and glory but I definitely think I will have to check a few bits out having read this! Gorgeous photography by the way! The cleansing milk sounds great! I wish Soap & Glory's full range was available in the states. For now just there body lotions and some lip products. I'd love to check it out though.